CLEAN UP YOUR REAR WITH R&G TAIL TIDIES! 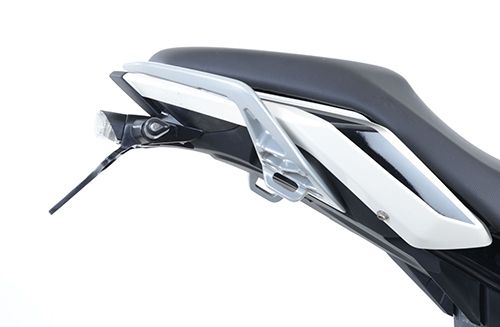 OEM licence plate holders are often expansive and ugly, so R&G is giving riders the opportunity to radically tidy up the rear end of their machines with brand new Tail Tidies for the BMW G310R, G310GS and KTM 790 Duke. 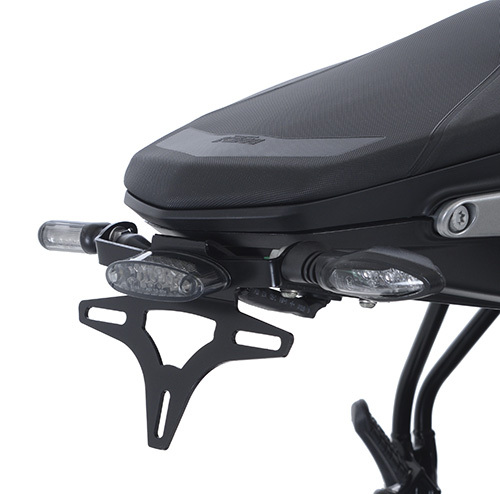 The injection moulded (G310) or stainless steel (790 Duke) units move the licence plate tighter underneath the rear seat cowling, giving a much sportier and more stylish look. A bespoke licence plate bracket is provided in the kit, as well as a replacement e-marked stop/tail light with licence plate illuminator. The simple-to-install units are compatible with either OE or aftermarket indicators as standard and include plug and play connectors. Available for all three machines now, prices start from £70.83 (net RRP). For more information, visit www.rg-racing.com or call 01420 89007.